‘…it’s a privilege for us as a band to do that, to look a little different, to try and really stand out as followers of Christ. We want to let the words from our lips and let our actions and our character stand out among whatever church we walk into or wherever we might be. And that’s our goal— to really let people see Christ in the band, not just to look like a band, but look like disciples…’ With I Am They being the most recent signing to Provident Label Group, the home of artists like Matt Maher, 1 Girl Nation, Third Day, RED, Brandon Heath and Steven Curtis Chapman; we are presented with a band that reminds us of the collectiveness we are in Christ, that we as brothers and sisters of the King of Kings are stronger together than apart. By stating their name as I Am “They”; we are reminded that we are on this journey together, regardless of our walk in life and our circumstances. Showcasing an organic pop sound similar to that of Rend Collective, Casting Crowns or David Crowder*Band; this 6 piece band is something refreshing and heartfelt in a sea of CCM albums that can be classified in the genre of CCM, some sadly cookie-cutter (but nevertheless impacting to those who still listen). Releasing their label debut album January 27th, this is an album you don’t want to miss if you love CCM/pop and want to be reminded that ‘…nothing could ever stop this love, nothing could ever take it away, my life was lost, His life He gave, even to the grave…’ (‘Even Me’). Originally recorded by David Crowder on Passion 2013’s Let the Future Begin and again on Crowder’s solo album Neon Steeple, “Here’s My Heart” is a poignant prayer and one of the standouts on both Crowder’s and I Am They’s albums- in fact, I prefer this new version over Crowder’s. A song that encourages us to give our full selves to God as we worship Him wholeheartedly, this prayer to God allows us to unveil everything before Him. More musically unique and diverse compared to Crowder’s studio version, it is the ‘call-and-response’ technique that I Am They use of employing two or more vocals that brings the song to another level. With an acoustic guitar and both Adam and Stephanie trading the lead, “Here’s My Heart” is a gem amongst the 10 tracks. With a poignant chorus that reminds us all about our identity in that ‘…I am found, I am Yours, I am loved, I’m made pure, I have life, I can breathe, I am healed, I am free…’, while also showing us that ‘…You are strong, You are sure, You are life, You endure, You are good, always true, You are light, breaking through…’; the band delivers one of my top 5 songs on I Am They! Banjo inspired “Awaken My Love” follows from the first track, and is just as engaging as track 1, even with some clichéd lyrics of how ‘…You awake my love, You renew my strength, You restore my heart…’ The catchiness of the song makes up for what people may call lazy songwriting and tired penmanship; while “Your Love is Mine” shows Stephanie place on her Beth Croft-meets-Moriah Peters voice to show listeners a folksy melody with hand claps and banjo that remind us that Christ’s love is ours, even if everything else fades around us. 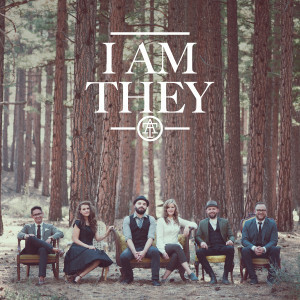 These first three tracks alone ought to be enough to encourage music lovers to take a chance on I Am They, and together with “From the Day” and “Here’s My Heart”, this album is propelled into being my favourite album of 2015 so far! Originally thinking that “King of Love” was a cover of a Delirious? track, this originally written melody is equally as enjoyable and poignant, as the band place a hymn sheen over the song and remind us all that ‘…the king of love my shepherd is, whose goodness faileth never, I’ve nothing lacked if I am His, and He is mine forever…’ Just like songs inclusive of “10,000 Reasons” and “In Christ Alone” that have become modern hymns and have been given (either by CCLI or worship congregations) the status by many who sing them, “King of Love” is another such melody that I’m sure will follow suit. Also thinking that “Amen” was a cover of gospel singer Carman’s powerful melody that was on his 1995 album R.I.O.T. ; the four minute Stephanie Kulla led song is a perfect end to an album littered with gems and songs that’ll fit in the church and become anthems to many people worldwide. As humble, uplifting and powerful as any song heard on the album, we are met with the affirmation that ‘…whatever comes my way, You have taught me to say, amen, let Your kingdom come…’, in a song that presents the vulnerability of declaring God over all in every situation united powerfully with the orchestral music setting, to bring the impact of the album ender to a grand crescendo, one of my favourite last songs on any album since Addison Road’s “What Do I Know of Holy”. “Over and Over Again”, led powerfully by lead singer Adam and the piano, shows a personally and poignant journey as the song was based on the testimony of Adam himself, and how a little girl challenged his views one day and in effect led him to Christ. A song about how God chases us ‘…over and over again, Your love and Your mercy begin…You find me where I am…’; I Am They continue to bring us potential radio hits, from “Even Me”, a reworking of the “Jesus Loves Me” children’s melody, to “Make A Way”, a split vocal song that reminds us that if God brought us this far in our lives, He will bring us out of our situations and will make a way of seemingly impossible moments. 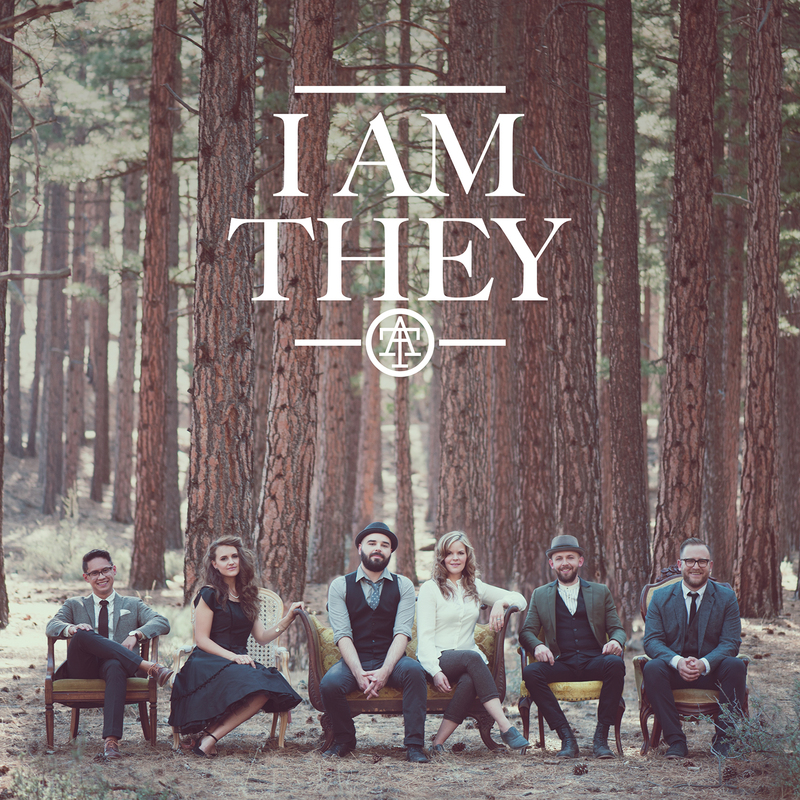 With the band delivering arguably one of the strongest albums of 2015 so far, this sextet have followed along the path of artists like Casting Crowns, Rend Collective and All Sons and Daughters, to create a worship album worthy to be enjoyed by anyone who appreciates anything about worship, acoustic or even folk music. A ten song collection that has led me to declare the band to be my favourite new band to release anything since 1 Girl Nation and Love and the Outcome back in 2013, this is as enjoyable and poignant as they come. With the band bolstering a prominent Provident Label Group artist line-up, with the likes of 1 Girl Nation, Brandon Heath, Third Day, Matt Maher and Tenth Avenue North; I Am They, whose name was inspired by John 17 and how Jesus often referred to his disciples as “they”, is quick becoming my favourite new band to listen to since artists like Lauren Daigle and About a Mile in 2014! Be sure to check out the new album when it releases tomorrow. Check out the new music video of “From the Day” below, and let us know in the comments what you think about the song and video.